Weight gain causes several ailments. In some cases, the ailment causes the weight gain. Some individuals have an unexplained weight gain, and no matter how much they struggle, they cannot lose the weight. 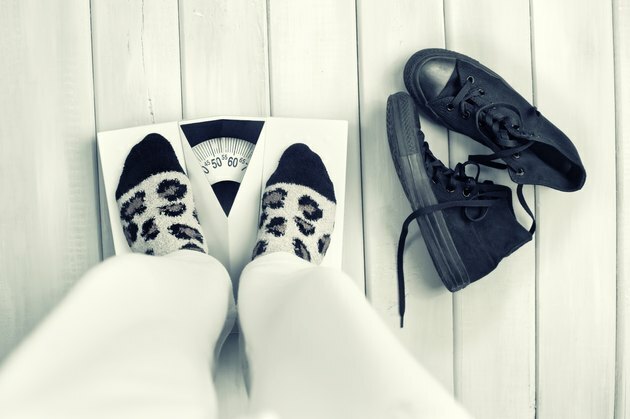 In many cases, this weight gain can be due to an underlying medical condition. Hypothyroidism is a condition during which your thyroid gland under-produces certain important hormones. The under-production of these hormones results in the slowing down of your metabolism. Other symptoms of hypothyroidism include joint pain, infertility and heart disease. Synthetic hormones are often used to treat hypothyroidism. PCOS is a common hormonal disorder in women of reproductive age. The condition causes enlargement of the ovaries, with the appearance of multiple cysts. This condition not only causes obesity, but also causes infrequent or prolonged menstrual periods, excess hair growth and acne. The condition is treated with hormonal birth control pills or surgery. Cushing's syndrome is a condition during which your body is over-exposed to the hormone cortisol. This can be a side effect of corticosteroid medications. Acne, slow-healing cuts and an increase in fatty tissue are symptoms of the syndrome, which is treated with surgery, radiation therapy or by reducing steroid medication. In some cases, your body begins to build up a resistance to the hormone insulin, resulting in a buildup of body fat as well as type 2 diabetes. An increase in insulin-producing cells in the pancreas or a tumor in the pancreas can cause insulin resistance.